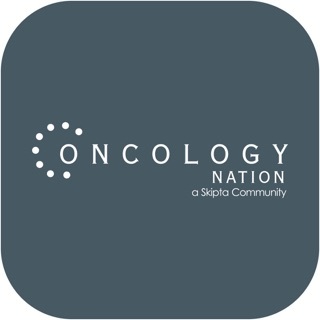 Urology Nation is an online medical community, exclusively for verified Urologists. 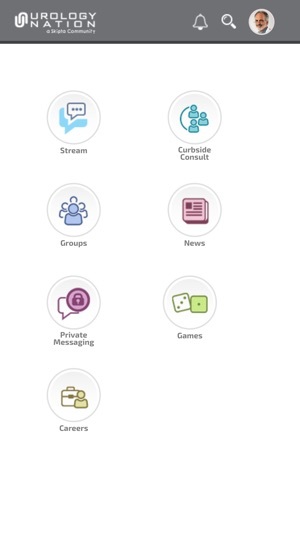 The Stream is a customized compilation of activities unique to members and the members’ posts and groups that they are following. 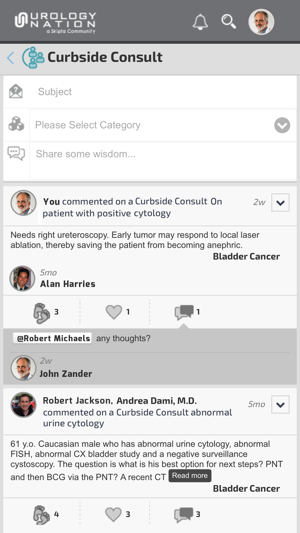 A place where Urologists are encouraged to post their toughest cases or industry conundrums for feedback. 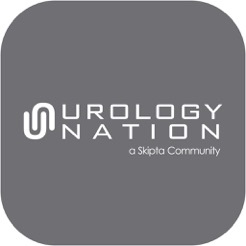 Groups within Urology Nation provide a destination for focused information and topics of interest, such as a medication, professional organization or academic institution. 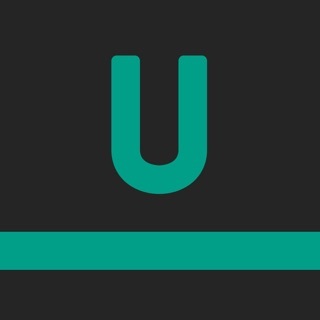 Games allow members to test their knowledge and compete against peers. 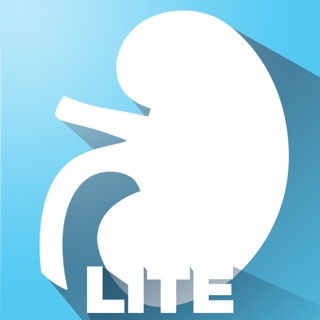 The latest news and information is brought to members from the reputable sources they are already viewing on a daily basis. 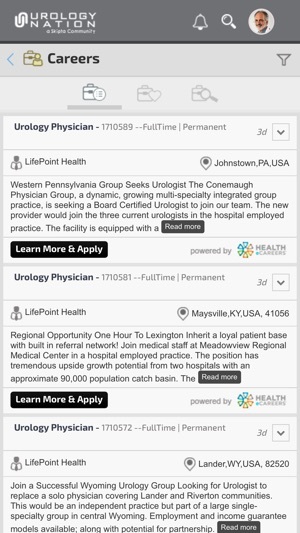 Your perfect job is out there and Urology Nation wants to help you find it! In our Careers area, you're able to search, save and apply to jobs based on location and specialty. 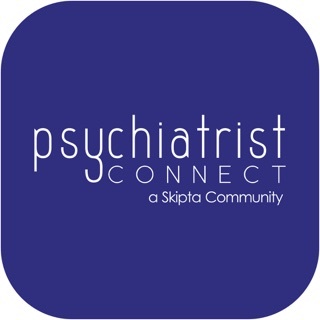 Instantly chat with colleagues in a private setting. 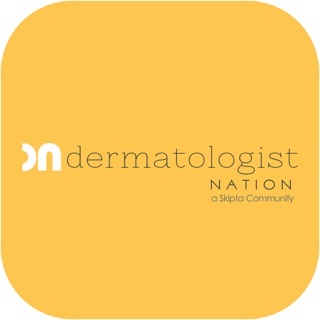 I'm enjoying the new Urology Nation mobile app because it's very easy to use. 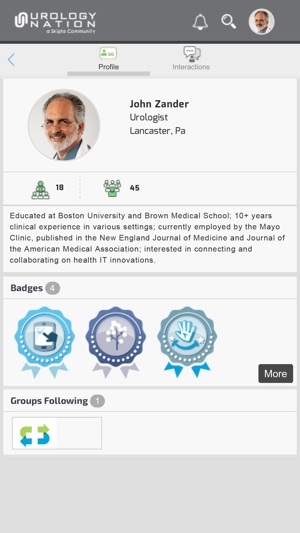 It allows much easier access to the collaboration I value as a urologist. Very convenient to use when I'm out of the office.